Master Plan Rendering, indoor pool options | Markey and Associates, aquatic design consultants. A comprehensive feasibility analysis of indoor options and a new concept plan. 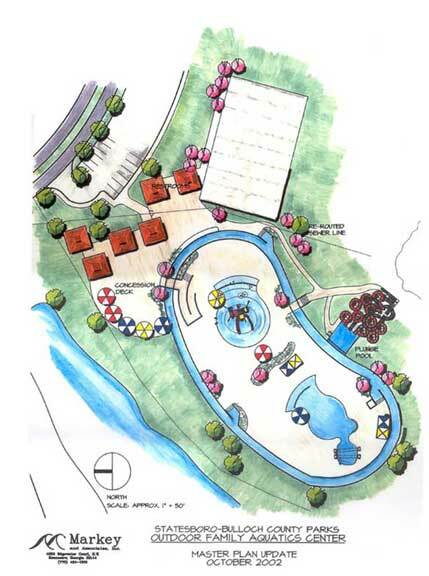 We also previously did the Feasibility study and Master Plan for a complete park, including a family aquatic center that was subsequently built.